Mirah Yom Tov Zeitlyn has been at the heart of the vibrant Northwest independent music scene ever since her debut album 'You Think Its Like This But Really Its Like This. A collection of her own 4-track recordings alongside collaborations with Phil Elverum of The Microphones/Mt. Eerie, the album became an instant classic. A follow-up to her first release, the stunning 'Advisory Committee (2001) cemented Mirahs place in the alternative music canon. These albums were an exploration of the territories beyond lo-fi, aiming to transcend mere technical limitations and to push the boundaries of 'indie-rock towards a more meaningful communicative goal. Phil Elverums sound experiments collided with Mirahs striking lyrical poise and unabashed emotional honesty and the resulting mix proved quite evocative. 2003 saw the release of 'Songs from the Black Mountain Music Project, the result of a self-imposed artists-in-seclusion collaboration with Brooklyn-based artist and musician Ginger Brooks Takahashi. 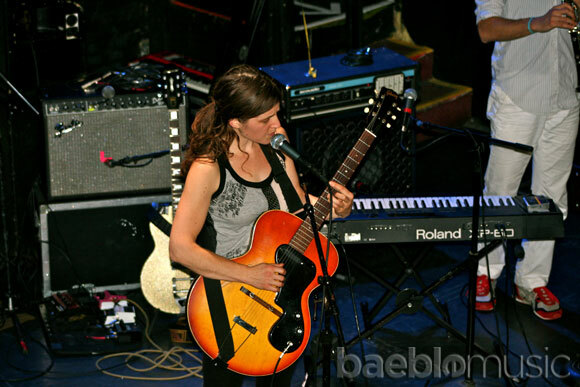 Mirah began working with Lori Goldston and Kyle Hanson of Seattles Black Cat Orchestra in 2003 and the release of a collection of cover songs followed. The album 'To All We Stretch the Open Arm was conceived as an anti-war statement and included renditions of Leonard Cohens 'Story of Isaac and Kurt Weills 'What Keeps Mankind Alive. Mirahs third solo album Cmon Miracle (2004) combined the ever-present youthful splendor of her earlier works with a more mature stylistic component which led many critics to hail it as her best work to date. A sonic expedition, Joyride: Remixes was released in 2006 and features dance remixes of tracks from Mirahs three solo efforts by the likes of The Blow, Guy Sigsworth, Mt. Eerie and Anna Oxygen. Next, in 2007, came another turn with Lori Goldston and Kyle Hanson who had since re-created themselves as Spectratone International. Share This Place: Stories and Observations was the culmination of this second collaboration. has been at the heart of the vibrant Northwest independent music scene ever since her debut album 'You Think Its Like This But Really Its Like This. A collection of her own 4-track recordings alongside collaborations with Phil Elverum of The Microphones/Mt. Eerie, the album became an instant classic. A follow-up to her first release, the stunning 'Advisory Committee (2001) cemented Mirahs place in the alternative music canon. These albums were an exploration of the territories beyond lo-fi, aiming to transcend mere technical limitations and to push the boundaries of 'indie-rock towards a more meaningful communicative goal. Phil Elverums sound experiments collided with Mirahs striking lyrical poise and unabashed emotional honesty and the resulting mix proved quite evocative. 2003 saw the release of 'Songs from the Black Mountain Music Project, the result of a self-imposed artists-in-seclusion collaboration with Brooklyn-based artist and musician Ginger Brooks Takahashi. ? Mirah began working with Lori Goldston and Kyle Hanson of Seattles Black Cat Orchestra in 2003 and the release of a collection of cover songs followed. The album 'To All We Stretch the Open Arm was conceived as an anti-war statement and included renditions of Leonard Cohens 'Story of Isaac and Kurt Weills 'What Keeps Mankind Alive. Mirahs third solo album Cmon Miracle (2004) combined the ever-present youthful splendor of her earlier works with a more mature stylistic component which led many critics to hail it as her best work to date. A sonic expedition, Joyride: Remixes was released in 2006 and features dance remixes of tracks from Mirahs three solo efforts by the likes of The Blow, Guy Sigsworth, Mt. Eerie and Anna Oxygen. Next, in 2007, came another turn with Lori Goldston and Kyle Hanson who had since re-created themselves as Spectratone International. Share This Place: Stories and Observations was the culmination of this second collaboration. ? The insect-inspired extravaganza became a multi-media performance featuring stop motion animation by Britta Johnson and 12 songs based in part on the writings of the influential French scientist/poet Jean Henri Fabre. A dip into the past brought forth 2008s release of The Old Days Feeling, a collection of singles and previously unreleased rarities. 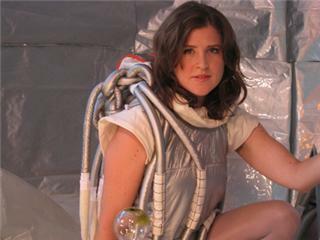 In March of 2009, Mirah unveiled her latest full length solo album, (a)spera, which mixes her trademark lyrical sincerity with innovative instrumentation. August 2010 will see the release of the Gone Are All The Days 12, a disco remix record that brightens up one of (a)speras darkest tracks with glittery energy and an empowered delivery. Also in 2010, Mississippi Records released a new Mirah 7? of original 60's girl group inspired songs called The Tears That Fall. Look for an upcoming Thao and Mirah full-length collaboration (featuring Thao Nguyen of The Get Down Stay Down) in April on Kill Rock Stars.